How Can You Study Effectively? Love it or hate it, but studying is an inescapable part of our lives. While scores obviously do not always dictate how successful you will be in life, there is also no denying you always need to make a basic cutoff when it comes to marks in order to get into good colleges. This leads to a lot of stress, panic and frustration among students, mostly due to the fact that most of them are unaware as to how to focus on studying effectively, thus optimizing their time and efforts to get the best grades possible. 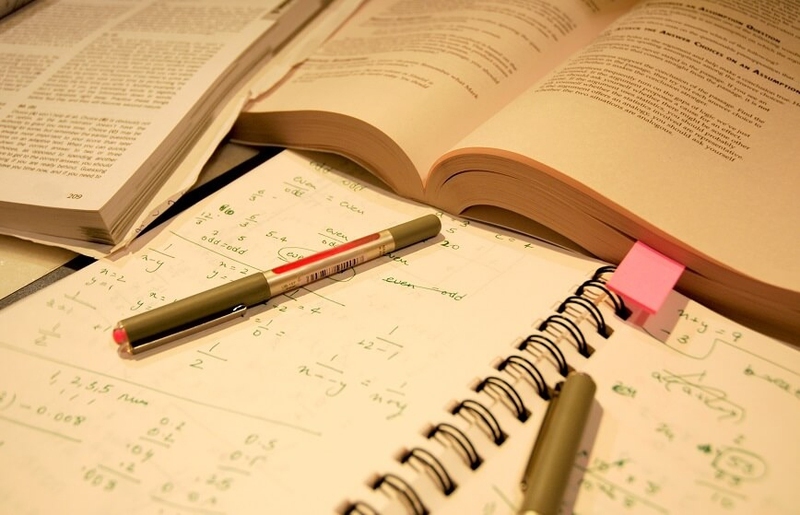 The most important thing about studying is – you have to study smart, not hard! I can state confidently that if every student knew about these tips listed here, there would be a lot less pressure on students because they would be getting great grades with a lot ease! The more disorganized your notes or your study table is, the more disorganized your thoughts will be. Our surroundings have an effect on our psych and most people don’t even realize how their lazy/carefree attitude is coming in the way of studying and memorizing notes. Keep your table clutter free, and your notes organized according to date, subjects or topics – whatever is the most convenient for you. The more organized your table is, the more organized your thoughts are. Now scientists don’t know exactly why this works, but it does work, so why look a gift horse in the mouth? Chewing gum simply enhances the memory portion of your brain, which helps you not only to focus more, but to be able to retain more information as well! Notes are boring, so why don’t you jazz up your notes by using different colored inks, not highlighters, to write them down? The difference in colors immediately makes your text stand out, and this greatly aids you in being able to recall them visually. Not the kind you get to hear on TV or radio, you know. It’s the kind that actually soothes/calms your mind and helps you concentrate. Classical music is always good, but if you feel it’s not something up your alley, try the new age genre of music in order to work on how to study effectively. Artists whose music you can listen to for hours at an end include – Enya, Yanni, Karunesh, Enigma and Deep Forest. You can even try to listen to something different, like playlists on YouTube on Chinese Bamboo flute music. It really is soothing to hear! The thing is, studying for hours at an end without taking a break doesn’t really work. Several studies have conclusively proven that your mind and body need break in between rigorous study sessions in order to get back into the groove. So for every half an hour of study, make sure you reward yourself with a mini 10-minute break. Duh! Do I really have to explain this for you? Give each topic or subject an allotted number of hours to study and put specific goals for each study session. This will not only help you manage more time effectively but also show you in which subjects it is that you take the most time to prepare without even realizing it. Kind of an old-school method, but whatever works! Rewrite your notes at least once by hand, because the more you write, the more effectively you’re able to absorb the information you’re writing. Typing on a phone or laptop doesn’t have the same effect as writing with your hand. This is one of the best ways on how to study effectively without pushing yourself too hard. Both are terribly important and sacrificing them for your study is gonna backfire for you. The thing is, your body and mind both need rest after intense study and if you’re gonna deprive yourself of them, you are going to slowly overwork both. And guess what happens when your mind and body are overworked? They don’t work as efficiently. The same goes for your diet because your body needs energy to burn. And binging off junk food and sodas is simply gonna add a lot of unnecessary fat and sugar to your body. Not only are these unhealthy for you, but also you may end up gaining a lot of unnecessary weight. Eat fresh cooked food and, if that’s not possible, eat lots of fresh fruits. Not only do you earn brownie points for helping someone in need, but you also end up helping yourself! Teaching or tutoring someone, especially on a subject you aren’t confident in, can be a life saver for you. That’s because when you’re unable to explain something to your colleague, you’re instantly made aware of the basics you’re weak in, something that you may not realize when you’re studying on your own. Plus when it comes to how to study effectively, the constant back and forth of questions regarding the subject only help improve your understanding of the basics, which becomes an automatic revision for you. We often get so absorbed in doing or not doing so many things for our studies that we often forget a very important component – the room temperature. The thing is, you may feel too lazy to increase or decrease the room temperature, but many studies and researches have shown that a temperature too high or too low will make you physically uncomfortable, disallowing you from focusing at your best. Server responsed at: 04/18/2019 8:16 p.m.